REELRADIO - The Peter Glazer Collection! 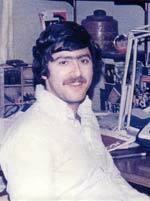 Peter Glazer loved radio as a teenager, but never got into the business. He says, "Although I had long thought that being in radio would be great, I ended up getting a journalism degree and then going to law school." He did work as a board operator at the campus station at the University of Oregon. Peter recalls that "due to problems controlling the mouths of students the year before, the station switched from rock with live announcers to classical music with recorded announcements (voiced by) one of the professors." Peter volunteered in the promotions department of KGW radio in 1972, but he didn't stay long because he "got a paying job somewhere else". KGW offered him news and all-night-DJ positions over the next year or so, but he turned them down to stay in college. He graduated in 1975 with a Journalism degree, and went on to law school, graduating in 1978. 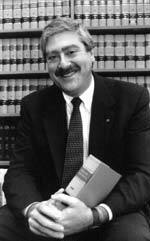 He became a deputy district attorney immediately out of school, and went into private practice in 1982. Since then, Peter has been in private practice as a trial lawyer. He works and lives in Lake Oswego, Oregon, a suburb of Portland. Peter is both a REELRADIO supporter and contributor, and writes that REELRADIO "no doubt brings great joy to a lot of baby boomers (and others)... I learned of your site when a newspaper columnist wrote about The Real Don Steele's stint in Portland. I remember him not so much from (KISN), but from KHJ, which at night, in the right kind of weather, we could hear up in the hills of Portland." The Repository thanks Peter Glazer for sharing!
. . . Ladies and Gentlemen, you're listening to a Million Dollar Weekend, on Music Power W F I L, Philadelphia . . .
REELRADIO pays music licensing fees to present unedited music online, regardless of fidelity. If you enjoy full-length airchecks like this one, your tax-deductible contribution to our operating fund will help keep this and other "unscoped" exhibits available. There's never been any question in my mind that WFIL in the Cradle of Liberty, Philadelphia Pennsylvania, was one of the finest Top 40 stations ever. Despite the very narrow bandwidth of this exhibit (there's nothing below 300Hz and nothing above 6Khz), the production elements of this station still manage to excite! Tympani drums, authoritative stagings and PAMS jingles showcase the considerable talents of Long John Wade (d. May 15, 2006) as heard in August of 1970. Contributor Peter Glazer says this aircheck was made the year he graduated from high school, when he worked in Philadelphia for the summer. "I thought his show was one of the tightest I had heard. He talked very fast".
. . . The Super One, In '72 . . .
UNSCOPED! REELRADIO pays music licensing fees to present unedited music online. Your tax-deductible contribution to our operating fund will help keep this and other "unscoped" exhibits available. Bobby Noonan was Andrew John Harold who had worked across the street as A.J. Harold at KISN's competitor, KGAR, in 1967. KGAR was a daytimer licensed in Vancouver, Washington (KISN was licensed to Vancouver, too.) But by the end of 1967, KISN was the only Top 40 station in Portland. In the 1960's, KISN had the "KISN Corner" on West Burnside at 10th near downtown Portland, where The Real Don Steele was seen by motorists passing by. KGAR took office space across Burnside and, with floor to ceiling windows, the jocks could "gesture" to each other. I spent many afternoons during high school hanging out with A.J. Harold. I had lost touch with him for decades, but I did locate him in 2001 at KBOI in Boise, where he had been for years, it turned out. This aircheck includes a newscast with Lincoln Smith and a couple of "on location" spots for Albertsons with Tom Michaels.
. . . In the meantime, I say to hell with 'em . . .
A lengthy Dan Eylers (sp?) newscast featuring the not-so-late Abigal Van Buren (Dear Abby) opens this exhibit, and for those who lived it, the heavy dose of Vietnam War news is a certain reminder of this moment in time. Contributor Peter Glazer wrote, "KGW changed its format .. in about 1969 starting with a broadcast of The History of Rock and Roll. I don't really know what the ratings were (I left for college in 1970) but KGW became dominant and KISN began to fade." Mike Rivers is heard on October 27, 1972, filling in for Phil Harper. You gotta love the Drake AA jings. You might think you're listening to an "Adult Contemporary" station until Rivers plays Raspberries. This was a very "classy" AM Top40 station, still doin' it in 1972.
. . . for some reason I've been 2 hours ahead all day on my time checks . . .
Contributor Peter Glazer wrote about Robin Mitchell on KB101/KLLB-FM, from May 17, 1981: "I had heard Robin Mitchell on KOL in Seattle in the late 1960's and even, one day, visited him at the dingy KOL studio out on Harbor Island." KB101 was a slick, consistent and proper "Oldies" format at the time of this aircheck, though the record-to-record seques are nothing to brag about. Kudos for the (too few) jingles, which are nice. Mitchell doesn't appear that often, but it's encouraging to hear him actually talking to his listeners, "on the fly". The Peter Glazer Collection debuted on March 16, 2003.